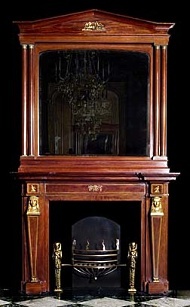 The Antique Fireplace UK . 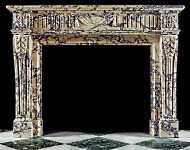 . . A DEFINITE OK! 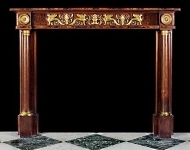 The antique fireplace UK or, more precisely, the antique fireplace "kingdom," is a well deserved reference to the unparalleled selection and quality of European made antique chimneypieces available for sale in the United Kingdom today. 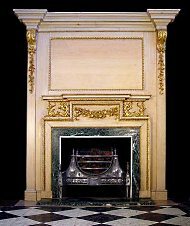 If you're looking for a special antique mantel or period piece for your home, you are likely to find exactly what you want in the UK! 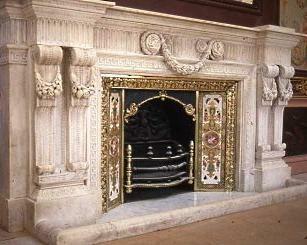 the antique chimneypiece is one of the beneficiaries of their preservation and salvage efforts! 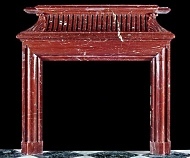 chimneypieces depicted here, or if you're looking for something not shown, please contact us and we'll make every effort to help you find your special antique fireplace. 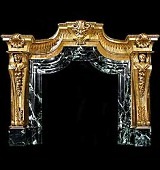 Please check back often or subscribe to our RSS feed, as we fre- quently add antique chimney pieces to our site. 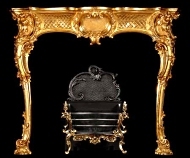 Fit for a King...OR a Queen!